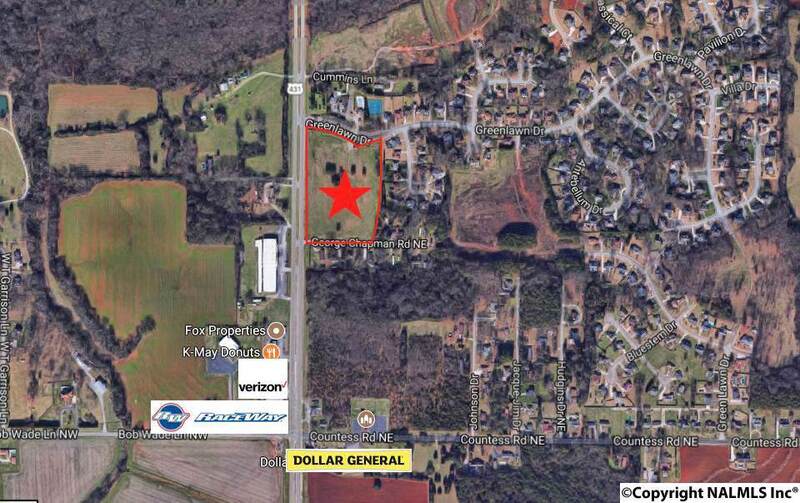 This 10.4 acre tract with 1249 ft of frontage on Highway 231/431 is located just north of where the upcoming Northern Bypass will be located. Tract is level to slightly sloping. Annexed into Huntsville - Zoned C4. Sewer available. Traffic Count is 35,080 VPD. Will consider subdividing. This area is growing tremendously both commercially and residentially!